All of the greatest love stories ever told were born in a book. 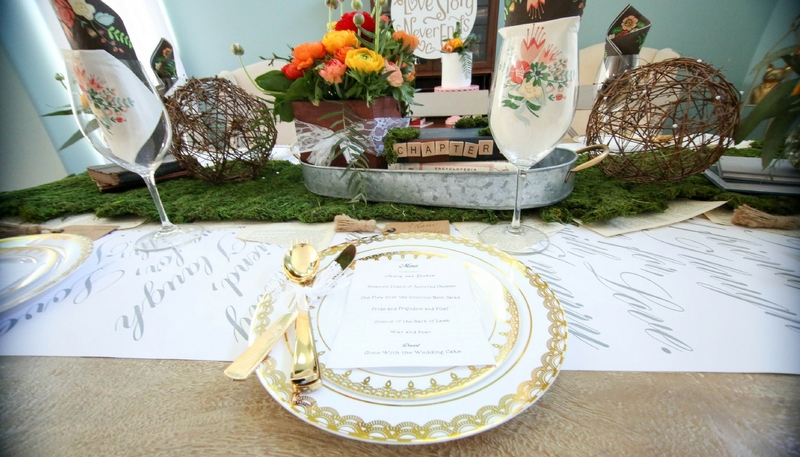 Celebrate your own love story by incorporating elements from your favorite literature and that classic library feel to create a Vintage Library Book Themed Wedding. 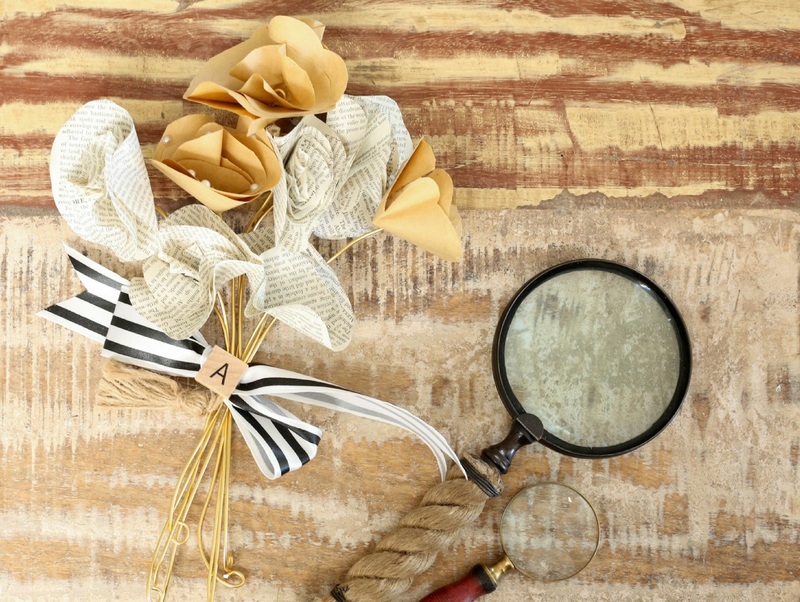 A book themed wedding for bibliophiles is a chance to bring in books and elegant lettering and get crafty with book pages and vintage touches. 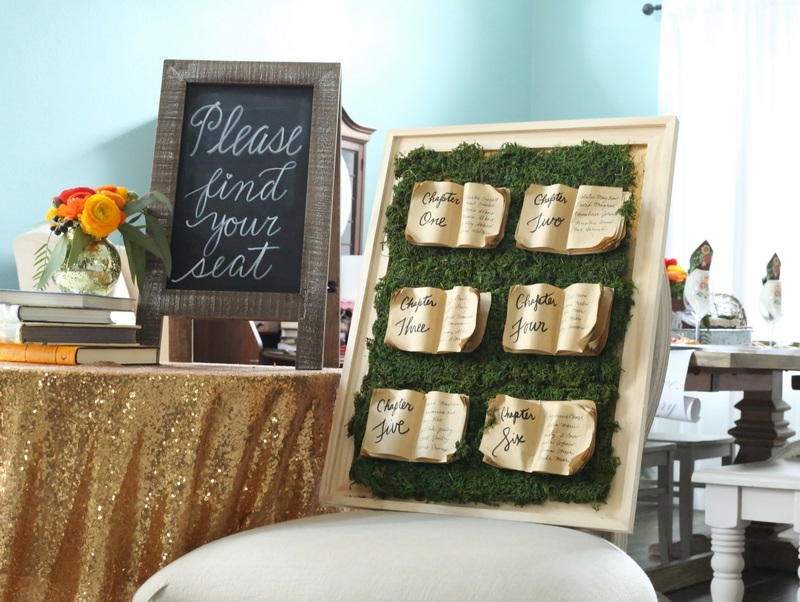 Set the tone for a book themed wedding in the introduction with a beautiful Chapter Book Seating Chart that showcases your love of vintage and books. Mock books with seating assignments are nestled into moss and look like they’ve been awaiting this task for decades with the look of age-worn pages. A unique accent for any book themed wedding, this Book Page Flower Bouquet will be the perfect touch on your table. 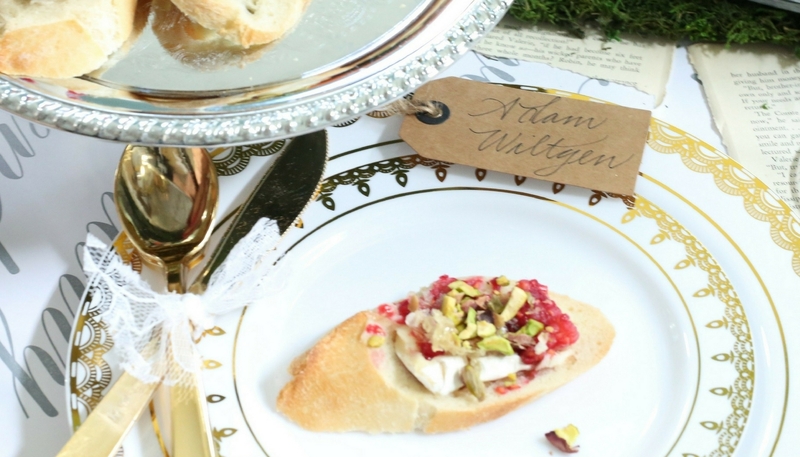 A classic theme such as this deserves a stand-out recipe like our Brie and Raspberry Crostini with pistachios and honeycomb. It’s a delectable appetizer sure to please. With this theme, your creativity is truly your only limit. You can bring in puns and fun plays on words or incorporate lines from your favorite novels. No matter your favorite genre, literature is a fantastic way to showcase your love. Add your own personal touches to create your own love story for the ages.